For easy programming simply plug your radiator into this digital controller and set the required times of operation. 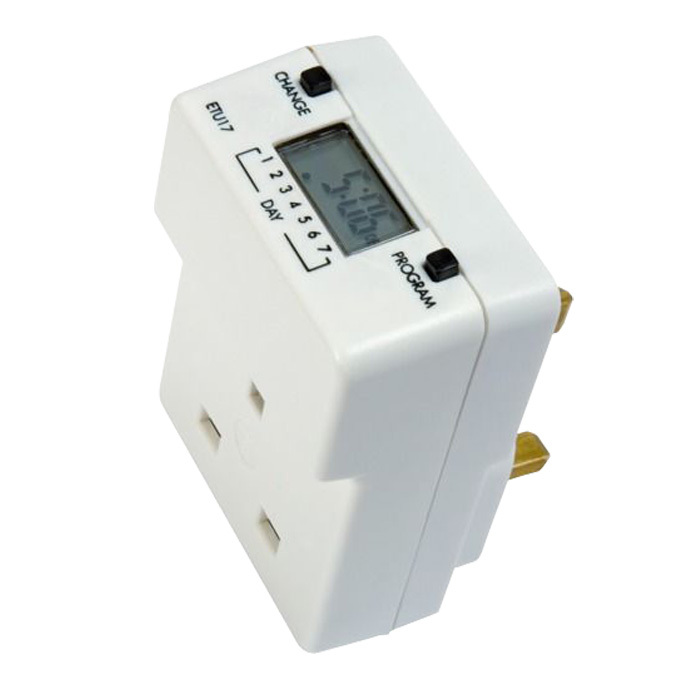 Plugs straight into the wall and can control up to a 3kW appliance. Programme individual days, every day, every weekday or weekend programme selections over a 7 day period. Six programmes are available and if selected to operate over all 7 days, 42 ON & OFF switchings per week will result. This simple to use controller plugs straight into the wall socket for instant digital control of all 13 amp (3kW) appliances. Enjoy the warmth of your Ducasa radiator in the morning when you first wake up or when you arrive home from work by setting this flexible controller to suit your needs. The slimline design of this product is less obtrusive than many on the market and also comes with a 3 year warranty for peace of mind. Top side display for ease of viewing when in use. Manual override until next programme change. 1000 hours rechargeable memory back-up. Our large UK warehouse is fully stocked with all ranges of Ducasa heaters and our friendly efficient staff are ready to react to your needs by providing fast, effective delivery options. You can place your order by telephoning our sales staff from 8.30am to 5pm, Monday to Friday or by emailing sales@heattend.co.uk. Faxes can also be sent to our main telephone number - 01603 897 608. Trade credit accounts are available or we can take payment by bank transfer, cheque, credit card or debit card. We recognise that card fraud is one of the major concerns these days, so we have chosen SagePay as our card processing partner because they use state of the art security tools and techniques to ensure that you are protected against fraud. Heattend Products Ltd do not keep any card details and comply with all relevant data protection legislation. On receipt of cleared funds we will despatch your order or you are welcome to collect from our warehouse which is situated a few minutes north of Norwich Airport. Place your order before 12 noon, Monday to Friday and we will despatch the same day. Standard deliveries are made Monday to Friday so if you order on a Friday, delivery would be on Monday; order placed over the weekend will be despatch on Monday. Please contact our sales team for single unit and pallet delivery options including prices. If required we can arrange delivery before noon, before 9am or on a Saturday. Again, please call our sales team on 01603 897 608 for costs of these options. For single units, you will receive an email the day before delivery which gives you the option of re-arranging the delivery for a different day. Provided you supply a mobile number you will also receive a text telling you your heater has been loaded onto the van for delivery and advising you of a one hour delivery slot. For your convenience we can deliver to any address; however we cannot leave your heater without a signature. Please Note: In some areas such as the Scottish Highlands delivery can take longer. Things occasionally go wrong so we can’t guarantee the time it takes for deliveries but we can guarantee we do our best to ensure they arrive when expected. For deliveries to the islands please contact customer services. Does the heater need to be serviced at all? No, because there are no moving parts. An occasional wipe with a cloth to the front and the back to keep the air vents free of dust should suffice. Is radiant heat a new idea? No, radiant heating products have been enjoyed for decades - open fires, traditional radiators and the sun all produce radiant heat. Do the heaters come with a plug fitted? The Sunburst, Sunrise and Inox are fitted with a plug. The other heaters are bare ended cable however a plug can be fitted if you wish - always consult an electrician. How much do the heaters cost to run? The approximate running cost for the Ducasa heaters depends on many factors but can be as low as 3p per hour. Which side of the heater is the electrical cable? The heater controls and cable are on the right-hand side. What is the length of the electrical cable? Lengths vary from model to model so if you need more accurate details please contact us. Can the Ducasa heaters be mounted vertically? No, the heaters can only be mounted horizontally. Do the heaters have to be installed by an electrician? No, if you can use basic tools and fit a plug, you can install the heaters yourself however it is always best to consult an electrician to ensure the safe installation of any electrical appliance if a plug is not fitted. Can I put furniture in front of the heaters? Yes, although you should allow at least 500mm of clear space between any furniture when using the radiant panel heaters. Are the heaters thermostatically controlled? Yes, the heaters are fitted with thermostats and frost protection as standard. The Ducasa Sunburst can be used as a portable appliance or wall-mounted. If the Ducasa Avant range of heaters or Richmond DPL range are bought with the optional feet, then they can be made portable. The other Ducasa products are only wall mountable. Are the heaters safe for children? Our heaters are designed to get no hotter than a traditional central heating radiator, however care should always be taken with the young, old and infirm. How many heaters do I need for my room? As a guide, based on a modern well insulated property allow 80 to 100w of power for every square meter. Can Ducasa heaters be programmed? Most of our heaters can be programmed, details are on each product page. Please do call our help line for more information. Yes. We use SagePay which is one of the UK’s leading secure online payment service providers. Your payment will be processed immediately and you will receive email confirmation. Yes, you can order and pay over the phone using your credit / debit card or by pro forma invoice. Who will deliver my heater? We use Parcel Force to deliver all of our heaters. When will my heater arrive? Orders received by 2pm Monday to Friday will be despatched the same day on a 24hr weekday service; orders received after that time will be despatched the next working day. Please note: UK mainland only, some areas such as the Scottish Highlands may take 48hrs. If you are not at home we can arrange delivery to a works address or neighbour if you tell us when you order. Delivery is charged at £15.00 per heater. Orders of more than 4 heaters will be sent on a pallet. Pallet delivery is £64.26 and will be organised with you by telephone prior to despatch. There is no additional charge for programmers and controllers. What if I don’t like the heater when it arrives? 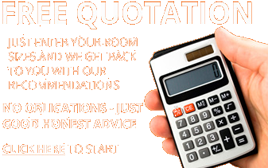 We offer a 14-day no quibble guarantee. Just return the heater to us in its original condition and receive a full refund of your money.